Justin Chon and Simone Baker in "Gook." 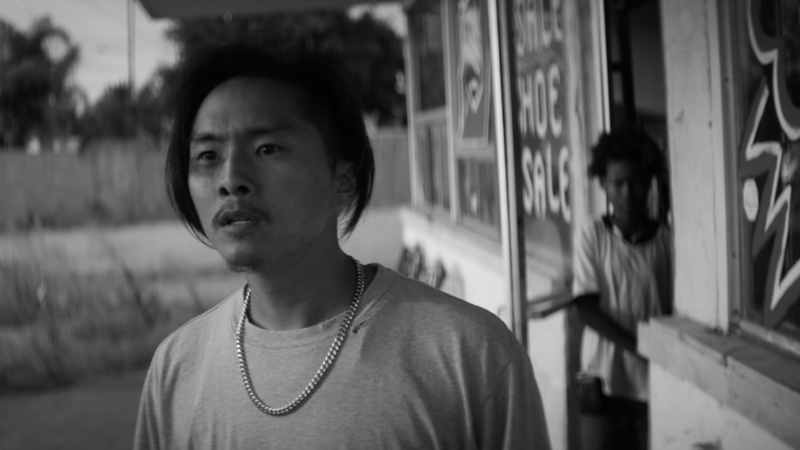 There have been many films about the L.A. riots over the years, but Justin Chon felt something was missing -- the Korean-American side of the story. This year marks the 25th anniversary of the uprising, which took place in South Central Los Angeles in 1992 following the acquittal of four white officers over the beating of Rodney King. Many Korean businesses were looted during the civil unrest, including a shoe store owned by Justin’s father. This became the basis for “Gook,” a new film written, directed by and starring Chon that premiered at the Sundance Film Festival earlier this year. "When I told [my dad] that I wanted to make this film, he was really confused," says Chon. "He didn't understand why I wanted to revisit such a traumatic time." The "Twilight" actor says that he had caught wind of other films in development about the riots. But after reading the scripts he felt they weren't "accurately or authentically portraying" the Korean-American story. "Koreans were most financially hit by the riots. Most of their businesses were looted and destroyed," says Chon. "I just felt like the Korean story needed to be at the table for the conversation." "Gook" is a narrative feature that presents the riots as they unfold before Eli and Daniel, Korean-American brothers played by Chon and David So, an actor, producer, singer and comedian with a YouTube channel with over 1.4 million subscribers. 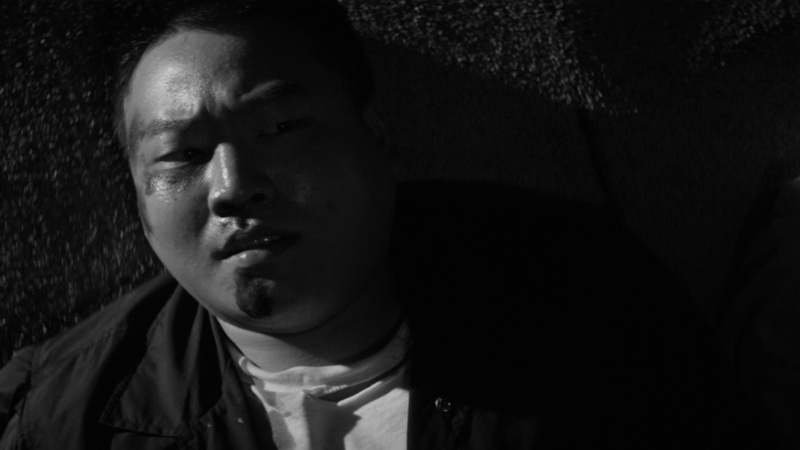 The film also stars Chon's father, Sang Chon, as the Korean liquor store owner Mr. Kim, and Simone Baker, as a young African-American girl named Kamilla. 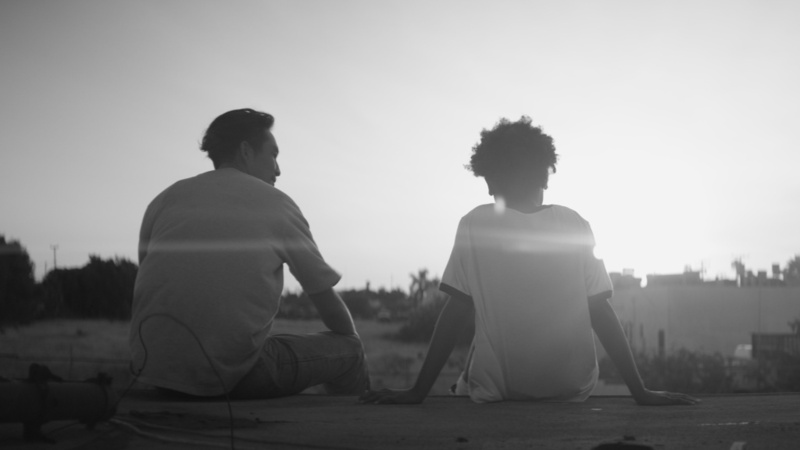 When Chon and So stopped by The Frame, they talked about the meaning of the word "Gook" and why a film about the L.A. riots is still relevant today. CHON: When the G.I. 's came to Korea in the Korean war they would say, Miguk saram, and that means "American person." But "miguk," the direct translation means "beautiful country," and we're talking about America. How that word became bastardized and became a racial slur is just ignorance. ... That just felt like the most fitting title. It wasn't meant for shock factor, it's an opportunity to educate. CHON: You know, from what I know, the Korean community was a scapegoat. LA County was saying, You know, it's your guys' fault for aggravating them, ... which we all know is not the sole reason why the riots happened. ... And there was this huge racial tension -- [the Korean grocer] Soon Ja Du, that was a case where LaTasha Harlins got ... shot and killed [and Du] did not go to jail. There was a lot of animosity between the communities. SO: My parents actually owned a black beauty supply store growing up. As a kid, I was Korean-American but I also identified with the black community a lot because that was the community I grew up in. ... I felt like I was a part of this community but at the same time I wasn't. So I would hear a lot of things that I never understood. ... We, as business owners, we were very poor. Nobody could see that though. They just see you're a business owner, and you're in our neighborhood and you're selling us stuff. It was such a weird feeling for me because I was like, But I'm broke just like you! ... But when two communities hurt at the same time, there's no empathy. SO: My favorite part about the film is just, like, how real it is. Look at the Daniel character that Justin created. There was this depiction of Asian-Americans that I never understood growing up which was that we were the geeky nerds that didn't have any aspirations outside of owning a business or studying in school. But there were kids like me that had aspirations outside of that. We were also a product of the environment we had. I have friends who wanted to be rappers, musicians, dancers and until this day they are dancers. I have a friend right now that I grew up with and he's one of the main cast members of Jabbawockeez. He's one of the creators. And there's me who became a musician and a writer and a singer. And it was so refreshing the way that Justin wrote it where it was, like, this isn't an alternative perspective, this is real perspective, you know? CHON: I've learned so much through this process about my dad and what kind of person he is. ... He was telling me his concerns and what he was thinking about at the time. And I was like, Well, were you scared? And he was like, I didn't have time to be scared. I was thinking about protecting the store because, if we lost it, you guys wouldn't be eating. ... I respected him a lot more and it just made me appreciate everything that he and my mother have done for me to allow me to be an artist. SO: It gives a refreshing perspective that two communities could not see of each other. And I think that when people do come see it, especially ... African-American community, ... they'll understand. I just had a conversation with my friend Rick. He said that, From my perspective as a black American, we just saw you guys getting these loans from banks, and you were opening up businesses that we weren't allowed to. They wouldn't give it to us. My parents tried to open up businesses and they wouldn't let us. But then you come into this country, with no credit to your name, and they're letting you open up businesses. How does that make us feel? And I was like, Wow. So it is very important that people see this film. CHON: My intention was [that] I want everybody to be a part of the conversation but I didn't want to pick sides. You know, it is what it is. 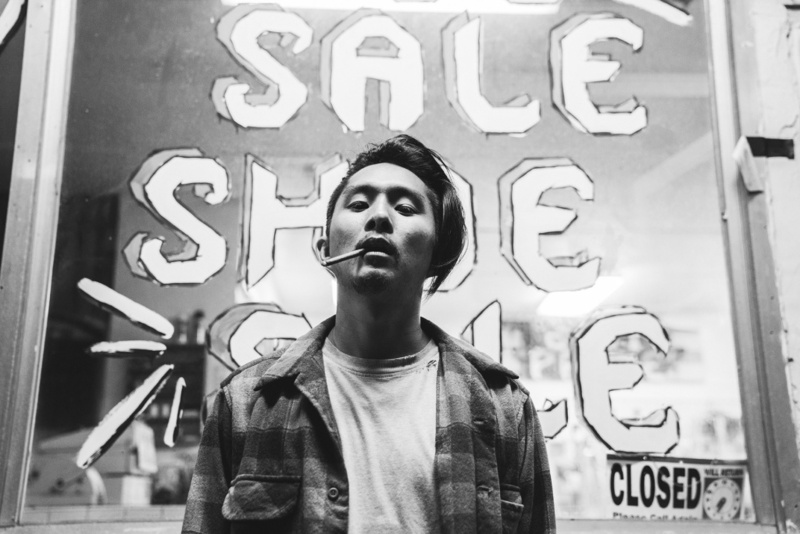 To hear John Horn's full interview with Justin Chon and David So, click on the player above.